When you think of the rapper Soulja Boy, you probably think of his smash hit (from like 10 years ago) called Crank That Soulja Boy. 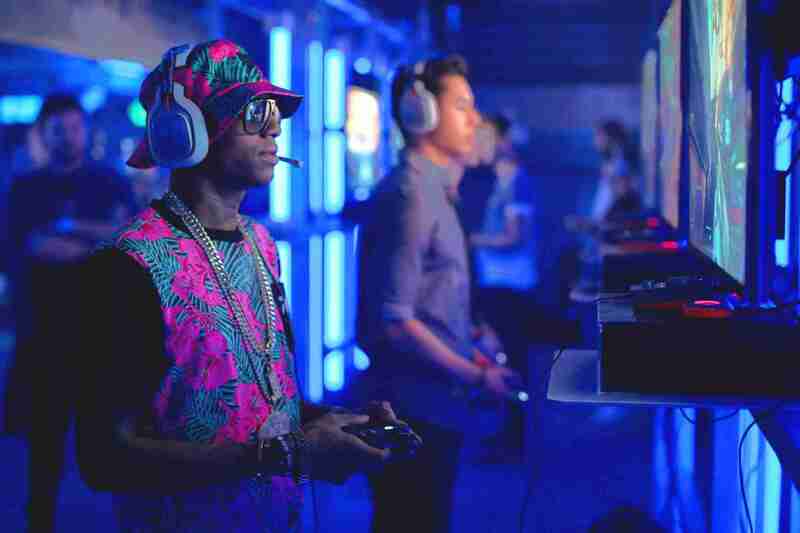 Since he came on the scene, Soulja has been known for his dance moves and online antics. He is actually considered the pioneer of using the internet to sell yourself as an artist, being the first rapper to capitalize off of social media in a major way. Honestly, I don’t know any of his recent songs. Yet, he has over 5 million followers on Twitter. Maybe that is why he felt confident enough to announce yesterday that we was releasing his very own video game console. Yup… You read that right. Soula Boy dropped a video game console. And accessories. Because 2018. 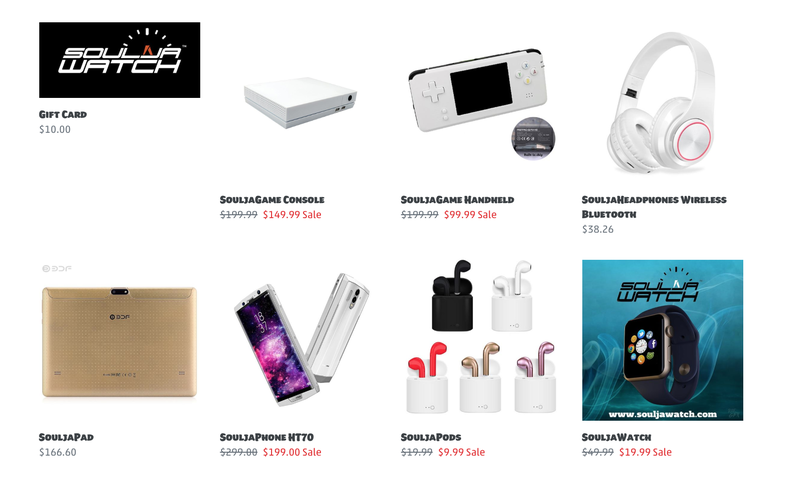 To say it flatly, it appears Soulja Boy has rebranded some cheap game emulators, made them part of his new SouljaGame line, and is now selling them as a console and a handheld, that allegedly plays “Switch/ 3DS/ Vita/ NEOGEO/ GBC/ Gameboy/ GBA” games and 3,000games built-in. Sound too good to be true? That’s because it is. You know it is. The product descriptions on the site are a bit suspect, such as the one explaining that the console can “Support connerting to TV.” Not connecting, but connerting. Because nothing screams “trustworthy” like a site with obvious typos selling tech. The picture on Soulja’s site site appears to show that the SouljaGame Console outputs to a TV via VGA cables, which might be a bit of an issue since a lot of newer televisions no longer have VGA ports. If he would have released this back when people were still cranking that Soulja Boy this would have DEFINITELY been a hot ticket item! 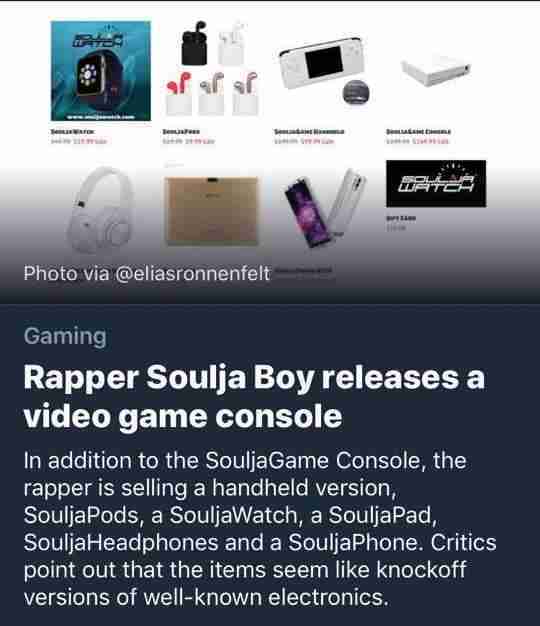 Despite the excellent marketing and amazing product names (when you put Soulja in front of anything it makes it sound at least 50% doper) Soulja’s new foray into gaming is not being well received on the interwebs. Folks are dubious. Both the handheld version of the games, the console, and it’s accessories were developed by a company called Anbernic, an online Chinese retailer that is selling the same items on AliExpress under the names “retro mini video game console” and “2018 portable handheld game console.” So ummm… do you see what he did there? He basically got some knock off gaming gadgets and rebranded them. And now everybody is confused. Because selling knock off games isn’t technically an example of being “a kid with a dream.” That’s just a kid with a hustle. And can we really knock his hustle? If one of Soulja’s fans wants to buy an emulator from him for $99.99 instead of buying the same exact emulator built by the same exact company for $56.79, then who are we to judge? Should we laugh it off as yet another example of Soulja humorously trying to secure the bag? Or should we be upset that he is falsely positioning himself within of a very important movement in tech and taking attention away from indie game creators and developers who deserve recognition? 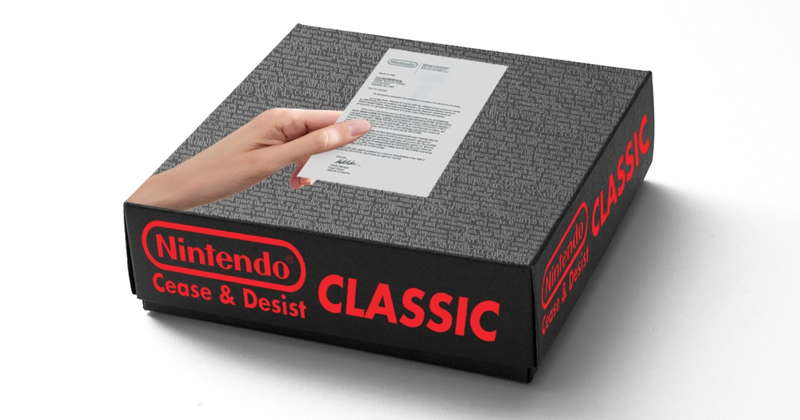 Maybe both things are true at the same time, but one thing is for sure… He’d better hurry up and make his money before Nintendo cranks that cease and desist letter.